Me being a true Generation X child, it’s no surprise that I liken every aspect of my life to rap music. Other age groups might think it is ridiculous but to me it makes perfect sense. 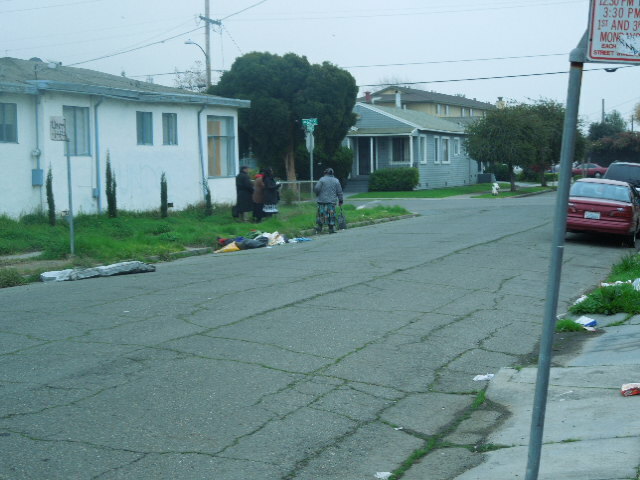 For instance the song “The Message” by Grand Master Flash and the Furious Five put forth the image of what my area of East Oakland has become. As harsh as that may sound, it is exactly what East Oakland has become. When I leave my house I am never surprised to see the trash that gets dumped overnight. It’s as if a bunch of trash-bearing elves come over to my neighborhood at night and sprinkle trash up and down the blocks. Furniture dumping is the norm in my area. 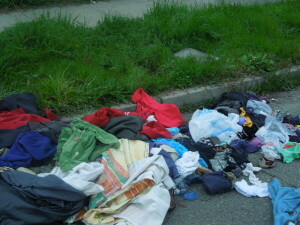 The corner of 61st ave. and Tevis – near my home – has seen a rash of dumping. I know everyone on my block, and the chances of one of them dropping off one of those pee-stained mattresses are slim. A friend of mine told me that I could report it to the city and the city would come and pick up the trash. So I went to the City of Oakland website and found the city’s page for illegal dumping. That search led to a phone number for The Department of Public Works – (510) 615-5566. Unfortunately, I was put on hold over and over again just to have my call dropped after holding for 20 minutes. Unsatisfied with the results of my calls, I found the number to Waste Management and called them only to be referred back to the call center for illegal dumping. So I dug deep inside myself to find some good old fashioned Christian morals. Not too many morals, just enough to make me stack the trash in an orderly fashion. When I approached the first pile of trash I gagged at the smell of urine and worse. That immediately sent my cleaning mission into abort. Besides, if someone would have seen me messing with the stuff they would probably try to report me to the city. 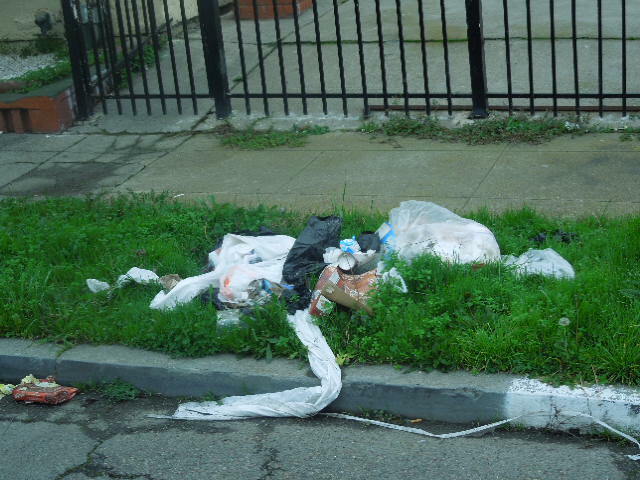 They would be undoubtedly put on hold, for a while!When I think about the overall health of my hood, I must say that I feel it is being contaminated by people who don’t care about the inhabitants.I wonder where those magical trash-dumping elves live? I would like to go dump some crapola in front of their house! They should be helping some cobbler repair shoes somewhere. I’d go track them down if I had the time. But I’m still on hold with the call center. Check out SeeClickFix. 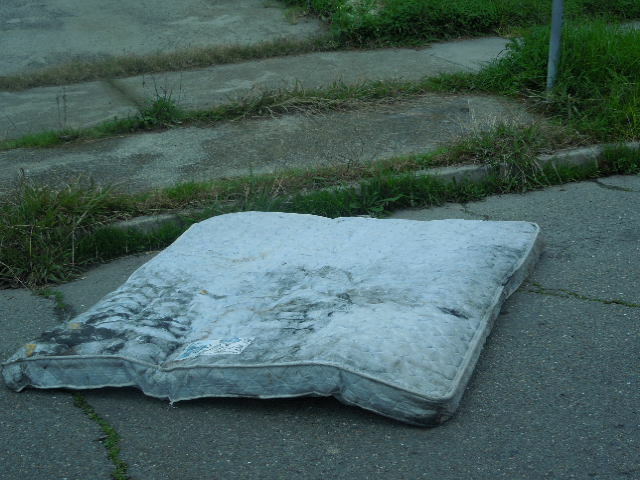 You can report illegal dumping (as well as problems like potholes and other DPW issues) in a few minutes. The DPW is very good about checking the issues on the site. 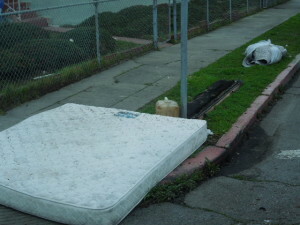 Whether they all get handled is another question, but they seem to deal with illegal dumping pretty quickly.